You need to get enough sleep, so you can be the best you. 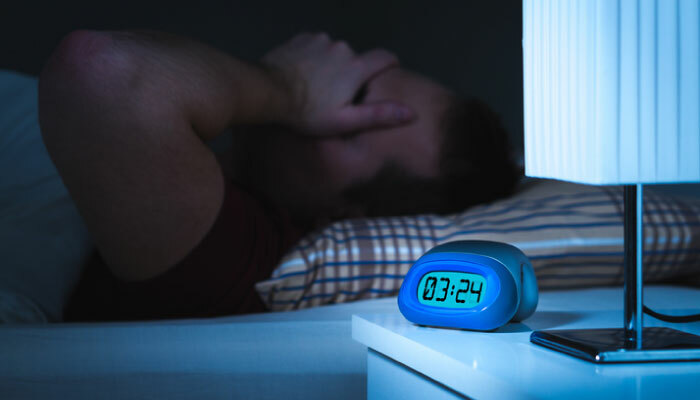 But, if you have trouble sleeping at night, Jim Meyer, DO, UnityPoint Health, has advice on how to improve your sleep hygiene, plus the one non-negotiable for a better night’s sleep. If you have trouble sleeping at night, first you need to make sure you’re getting the right amount of sleep. Dr. Meyer says that number varies by person. Dr. Meyer says the first two things you’ll notice from lack of sleep is the inability to concentrate and increased irritability. Besides a change in attitude, the problems can get downright dangerous, even deadly, if you must have to get behind the wheel of a vehicle. Not having the appropriate amount of sleep for long periods of time can also begin to cause larger health issues, including high blood pressure. Dr. Meyer says if you’re having trouble sleeping, check out your sleep hygiene. Sleep hygiene consists of your habits and environment leading up to and occurring during sleep. Sleep hours. Try to go to bed and wake up at about the same time each day, even on the weekend. While it’s best to sleep the same hours every day, Dr. Meyer says it’s OK to sleep later or longer on the weekends to catch up on sleep that might have suffered during the week. Temperature. Most people sleep better if their home is on the cool side. It’s a good idea to decrease the temperature by a few degrees at night. Bed quality. Mattress quality is important in helping you feel comfortable to fall asleep and stay asleep. Avoid alcohol. While alcohol might help you fall asleep, it interferes with normal sleep cycle and causes frequent awakenings. It’s best to avoid it, especially before bedtime. Don’t use stimulants. Avoid stimulants, like nicotine and caffeine, several hours before bed. Dark & quiet room. Try to keep the room as dark as possible, to help signal your body that it’s time to sleep. Keep alarm clock lights low and window shades drawn. Turn off devices & TVs before bed. About 30 minutes before bed, turn off the TV, and lock your smartphone. The lights from devices tell your body to stay awake. It’s OK to read on a tablet that has a very low light setting. If your sleep hygiene is already on point, Dr. Meyer has three other suggestions if you’re still having trouble sleeping at night. The first is what he calls a non-negotiable. “The best way to initiate and maintain sleep, in my opinion, is daily exercise. If you exercise daily, you’re going to get better sleep. So, that’s the one thing I tell people is a non-negotiable. You have to increase your activity if you expect to sleep well at night,” Dr. Meyer says. Secondly, if you or your partner notice snoring, avoid sleeping on your back. This will keep the base of your tongue from collapsing to the back of your throat. If the snoring persists or is accompanied by apneas (pauses in breathing while asleep), then an evaluation with your primary care doctor is in order. Finally, try adding a melatonin supplement. Dr. Meyer says it’s a naturally occurring substance in our bodies, which is a better option than sleeping pills. However, if you’re going to take any supplement or pill, make sure you talk with your doctor first. “There are lots of sleep disorders that go undiagnosed if people don’t bring it up with their doctor. Sleep is what we do for one-third of our lives, so it’s important to know what’s going on, so we can optimize good health during the day,” Dr. Meyer says. While there are all sorts of sleep disorders, but Dr. Meyer says obstructive sleep apnea (OSA) is one of the most common. “It’s the condition we see 95 percent of the time in my sleep clinic. It’s characterized by sleep disordered breathing where the soft tissues in the throat gets in the way, so the patient can’t maintain an open airway. Therefore, they stop breathing. Apnea is defined as 10 seconds without any airflow,” Dr. Meyer says. One of the strongest signs of obstructive sleep apnea is snoring. If you don’t sleep on your back and you still snore, it’s a good idea to chat with your doctor. Another sign is getting up to go to the bathroom more than twice a night. “With patients who have obstructive sleep apnea, they fall asleep easily, but they can awaken frequently because they have what’s called an arousal, where they are snoring or stop breathing, and they wake up a little bit. Those are the people who get up four or five times to use the bathroom. They figure, I’m up, I must have had a reason to get up, and they determine it could be because they need to empty their bladder,” Dr. Meyer says. Often, it’s the partner who identifies the signs of a sleep disorder because they’ll notice their partner’s restlessness, snoring and even the breathing changes that occur during apneas. “A lot of people I see are husbands coming in saying, ‘Well, my wife made me come in today because she says she can’t sleep anymore because I’m snoring so loudly. I’m restless in bed, and I feel fatigue throughout the day,’” Dr. Meyer says. There are several treatment options, if you’re diagnosed with an obstructive sleep apnea. So, talk to your doctor to determine steps towards a better night’s sleep. “We want everyone to achieve rapid eye movement (REM) sleep. Patients with obstructive sleep apnea don’t often reach REM sleep. I like hearing my patients are dreaming because that means they are getting into those more restorative stages of sleep,” Dr. Meyer says.